The Aetrex Lydia Cayenne is a slide version of our popular Naya wedge. With our patented braided detailing and premium comfort features, this wedge is perfect for long summer days. This lightweight slide wedge sandal features two fully adjustable straps for a perfect fit while a pretty braided strap and metal medallions add style. It will conform to your foot for a custom feel. 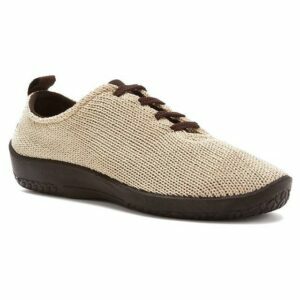 The 2.25-inch wedge heel is wrapped in leather and an ultra-light cork midsole provides great shock absorption. Easily transition from work to evening activities with the Aetrex Lydia in your wardrobe.